How to watch Playing Hard (2018) on Netflix Australia! Yes, Playing Hard is now available on Australian Netflix. It arrived for online streaming on April 12, 2019. We'll keep checking Netflix Australia for Playing Hard, and this page will be updated with any changes. 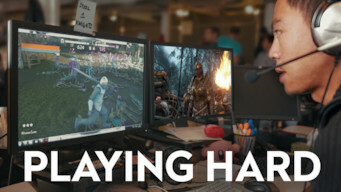 Step inside the Ubisoft offices, and follow designer Jason VandenBerghe's fight to create the video game "For Honor" over four years. He created a game about honor in an industry that has none. What would you do to see your dreams come true?